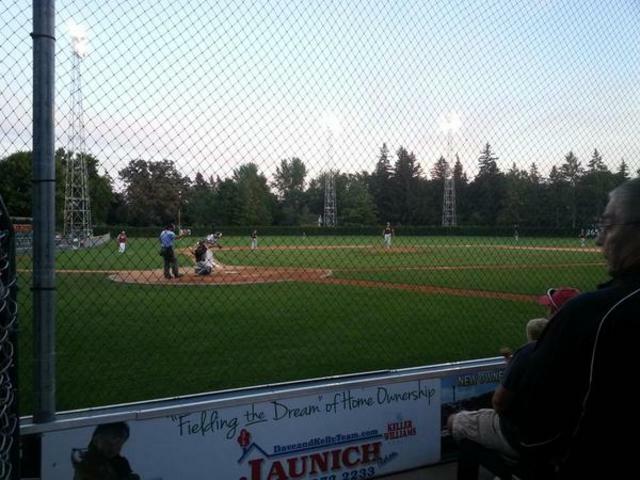 The #8 seed Maple Plain Diamond Devils pulled off an early upset in the Region 12C baseball tournament on Wednesday evening at Municipal Baseball Park with a 8-0 victory against the #1 seeded Maple Lake Lakers. Starting Diamond Devils pitcher Adam Gregg pitched seven shutout innings and allowed just 2-hits. The hard-throwing veteran right-hander tossed a gem of game and kept the Lakers quiet by not allowing a runner past second base. Offensively, Gregg helped his own cause by going 3-for-3, with three RBIs, and three runs scored. KC Johnson was 3-for-5, including 2-run homerun in the sixth inning off starting Maple Lake pitcher, Todd Fuller. Coming into the game, Gregg had only thrown a limited amount of innings, five and two-thirds to be exact. With the win, Maple Plain advances into the winners bracket and will have an opportunity to clinch a state tournament berth on Saturday. Maple Lake's season will be whaning in the balance on Sunday as they will now have to play through the losers bracket to clinch a state tournament berth.